Izzy, Bowdoin College, is taking the Children in a Multicultural Context core course this fall. She lives in a Homestay in the Indre by – Copenhagen’s city center – and has also joined a local curling club. Izzy V.: My host family is comprised of my host mom, dad, older brother, and younger sister. My host mom is a pastry chef and makes delicious desserts. My host dad works with the Royal Guard and is a skydiving instructor in his free time. My host brother is finishing his gap years between high school and university, which is very common to do in Denmark, and my host sister is in 5th grade and she is just the sweetest. I love my host family because they are light-hearted and constantly joking, just like me – we all have very good relationships constantly teasing each other. IV: When I read about the different housing options, I had no doubt that I wanted to live in a Homestay. I chose to study abroad to engage with a new culture as fully as possible, and I knew that a Homestay would be the best way for me to do that. IV: My host sister, Ida, is quite insistent on us having “hygge time” every day. One time, she slipped a little note under my door that said, “Hi Isabella, do you wanna hygge?” and I thought that was so cute. Our hygge time is always in the evening after dinner, but can be anything from me French braiding her hair for school the next day to just relaxing on the couch, eating Danish sweets, and talking about our day while we watch some TV (in Danish). I also really love having dinner with my host family every day. I can’t lie – another reason why I picked the Homestay housing option was for the home cooked meals! It’s great not having to grocery shop, worry about what is in the fridge, or prepare my own food every day. I still help out, but it is nice to sit around a table and enjoy food with each other while sharing updates from our day. DIS: What makes the Homestay experience special compared to other Housing options? IV: My whole semester in Copenhagen is shaped by my choice to live in a Homestay, and definitely for the better. In the beginning of my semester, my host family walked me through my commute to DIS, showing me how to use the public transportation system, explaining bike rules, and giving me other tips on getting around. We went sailing a number of times on their sailboat, which allowed me to see Copenhagen from another perspective. We have hosted extended family members and family friends for dinner parties a number of times and I even attended my host grandmother’s big 70th birthday party where I really met all the extended family. My host family has also helped me in tricky situations – like when I got a fine on the S-train and had to navigate the form to contest it (the form was entirely in Danish), or when I got bed bugs in a hostel and they helped me wash and treat all of my clothes and belongings. DIS: Have you gotten involved in any clubs and organizations while abroad? How have they shaped your experience in Denmark? IV: Yes! I started curling in college and wanted to continue it while I was abroad so I wouldn’t get rusty. I found a curling club here, emailed them shortly before coming to Copenhagen, and they were extremely welcoming and excited to have me! I joined a league team that needed another player and I curl with them twice a week, for two hours each time. My team is comprised entirely of middle-aged Danish men, with the exception of one Canadian student doing her masters in Copenhagen, who joined at the same time as me. Now that our season has started, we have games once a week, and a few weeks ago we had a weekend-long tournament where we played in fun costumes! Curling here has definitely added to my time in Denmark and allowed me to meet more Danes. Most of the people at the curling club are middle-aged or older, so it is a unique opportunity to form relationships with Danish people of that generation, and gain insight into their perspective and mindset. There is one Junior Girls team aged 13-18, and I have become good friends with the older girls. Without curling, I would not have had the chance to befriend Danish people who are my age! The adults I curl with are not just the average adult doing it for fun – many of the people at the club have played representing Denmark in National, European, and World Curling Championships, and some even played in the Olympics! I never thought I’d meet curlers of such high skill before, let alone curl with them! One of them even coaches me after practice from time to time, working with me one-on-one to improve my balance, technique, form, and accuracy. Definitely not an experience I will forget! DIS: What is the experience like of living with Danish host parents in regards to your independence? IV: I can’t speak for every host family, but my host parents are very relaxed and give me a lot of freedom. There’s no curfew or rules really, other than just using common sense and not waking people up if I come home late. Personally, I don’t go out at night that much, but when I do, my host parents are very encouraging, tell me to have fun, and ask that I call them if I need anything. I have traveled a handful of times and if they are available, my host parents always offer to drive me from the airport and/or pick me up, which is very sweet! I have my own room in the house and it is on a different floor from where most of my host family lives, so I definitely feel like I have my own space and independence. 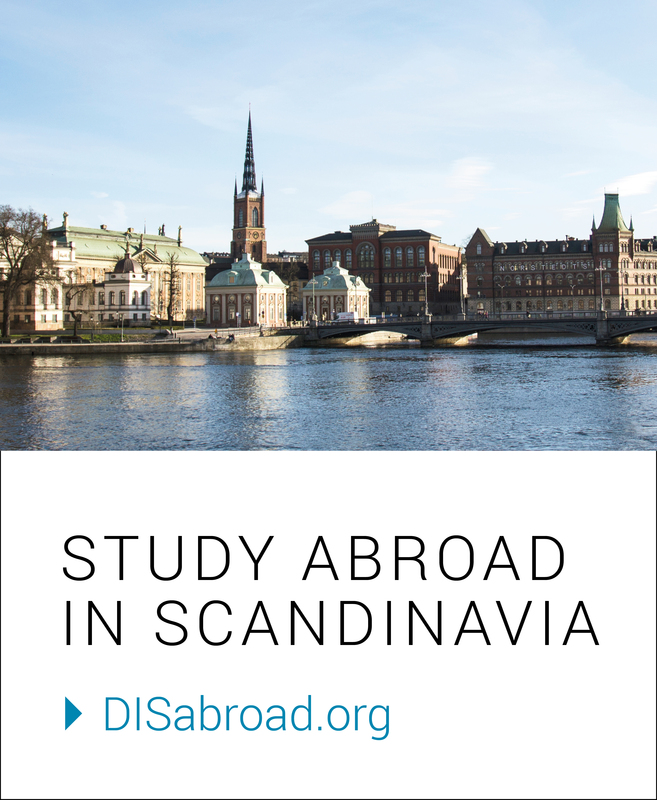 DIS: What is an example of a Danish cultural insight you have gained? IV: It is really hard to pinpoint specific examples, because I think it has been more of very small things that I have noticed overtime, which altogether have given me some cultural insight. For example, I have been very curious about the Danish healthcare system and welfare state, and through my hosts I have learned that my host sister goes to the dentist in the middle of class because there is a dentist office in the school building (crazy to me!) and my host parents usually get home from work by 3pm. When my host sister was sick, my host mom had no problem staying home with her because her job has a certain number of sick days – both for the employee and for taking care of their sick children. DIS: What advice do you have for future students who are considering living in a Homestay? IV: DO IT! I think just about any person can be very happy in a Homestay. DIS works hard to fit students and families as best as they can. If there’s something you need, just communicate and most things can be resolved with your hosts. I’ve heard similar stories from my friends who are also in Homestays – the families are receptive. In terms of the food, whenever there is a particular thing I want or need more of, if I just ask next time we go grocery shopping, we will get it, no problem. I can’t speak much to the commute aspect because I live quite close to DIS, but I still think if my host family were further away I would love my living situation just as much. The night out or event you may end up deciding not to go to because of a commute is not the experience you will remember in years to come – you can go out wherever you are in the world. But, you won’t always have a chance to live with a family in another country. That is the once in a lifetime experience that will be memorable. Next What are our students up to this November?